It was the days before PowerPoint. Holding our overhead transparencies, three of us sat waiting to be called into the management meeting. We were three public relations people, three poets, working for a chemical company. And it was our job to explain to the people running the company why we had to tell people how much pollution the company was responsible for, and, more to the point, what we thought the company should do about it. If you know anything about working for corporations, you know that this would not be a moment to inspire self-confidence. In fact, we expected to be shredded. A new federal law had been implemented. Companies large and small had to publish, annually, how much toxic emissions were emitted each year from operations. Our chemical company would be reporting big numbers. So would automobile and tire manufacturers, and steel makers. So would newspapers (toxic emissions are associated with printing presses). All manufacturers were affected, but especially chemical companies. To continue reading, please see my post today at Literary Life. 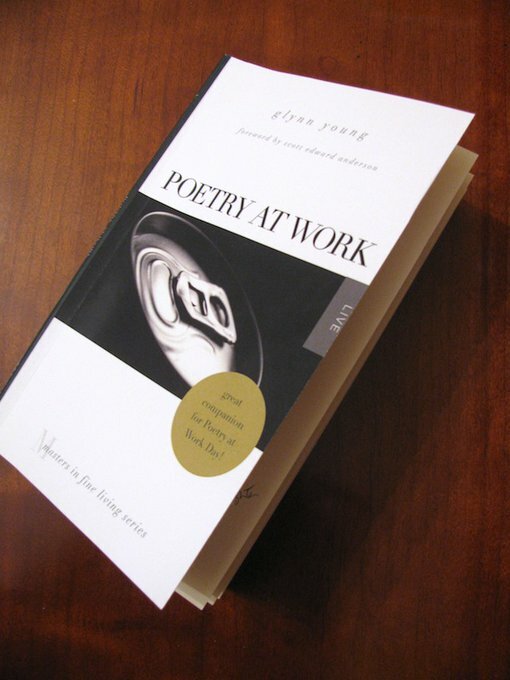 An award-winning speechwriter and communications professional, Glynn Young is the author of three novels and the non-fiction book Poetry at Work.